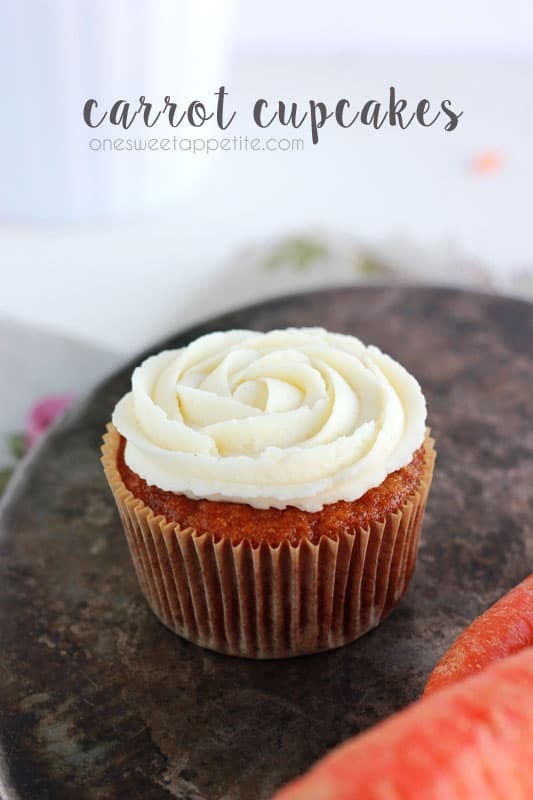 Surprisingly, Carrot Cupcakes are one of my top dessert posts from this site. I’ve finally decided to give them another go and retake the photos! 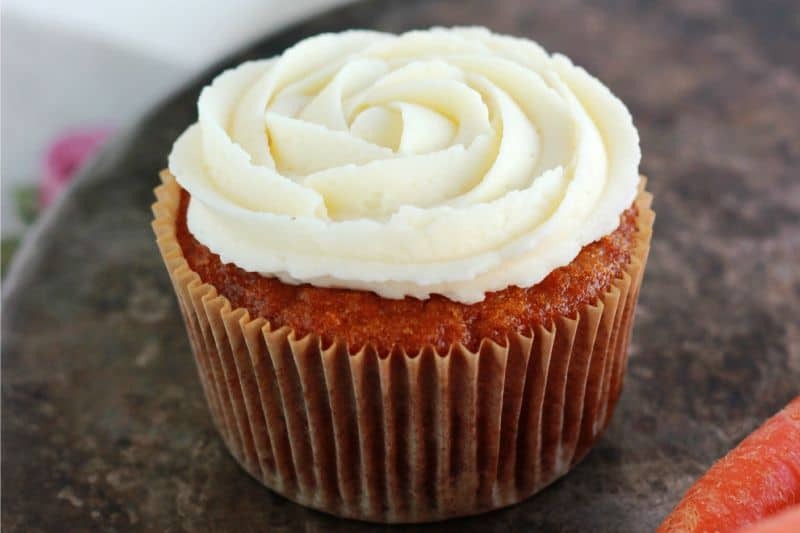 These carrot cupcakes are topped with a sweet cream cheese frosting and perfect for fall baking! Show of hands, who planted carrots in their garden only to realize that no one in the family eats them?? Darn the luck that our carrots would be one of our most successful plants in the garden. I let my little guy talk me into picking up some seeds this spring and thought that nothing would come of it. Lo and behold, here we are mid August and these little things are going crazy! Did I mention I even planted them in a pot? Not the ground… a POT. A tiny one. Which means our carrots are growing into some interesting shapes. Regardless, the cake is delicious and one you should try. Top it with a vanilla frosting or try my personal favorite… Cream cheese! Even if you aren’t a carrot lover you are going to want to devour one or two (or ten) of these little beauts. So, what do you think? Is it too early for fall recipes? Preheat your oven to 350 degrees. Line two muffin pans with paper liners or flour two 8 inch cake pans. 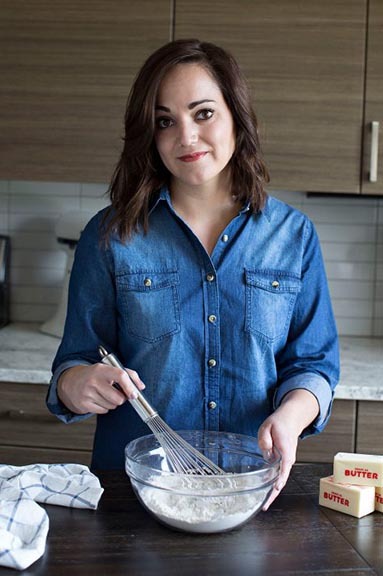 Whisk together the flour, baking soda, baking powder, salt, cinnamon, and nutmeg. Add the eggs, oil, applesauce, sugars, and vanilla extracts. Stir until smooth. Fold in carrots. Divide between your pans. Bake 30 minutes or until a toothpick comes out clean. Fill cupcake liners ¾ full. Bake 14-16 minutes or until a toothpick comes out clean. It typically get 15-20 depending on how full I fill the liners. if i omit the applesauce how much oil should i replace it with? Hi steph, I have never tried substituting the oil before but I would assume it would be the same value. No, you do not need to drain the carrots. They add moisture to the cake.